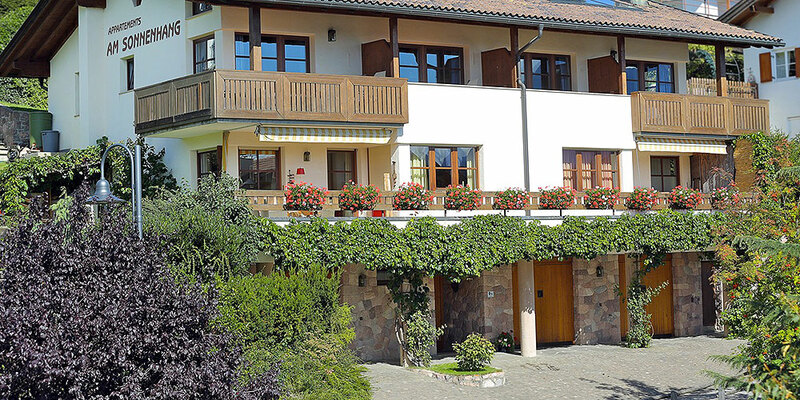 Dear Guests, we welcome you in our fine apartment building in Laion. 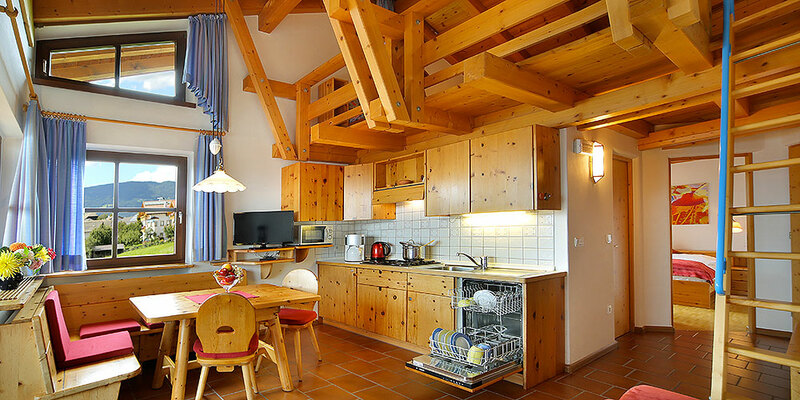 Our apartment house is in a quiet and sunny, yet central location in Laion in the Gardena Valley. 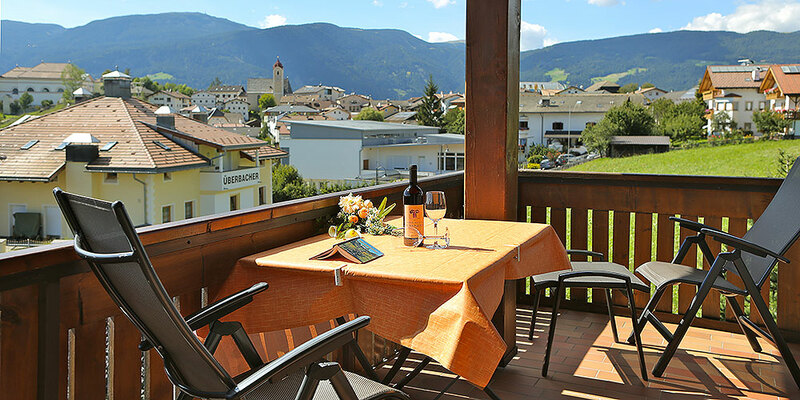 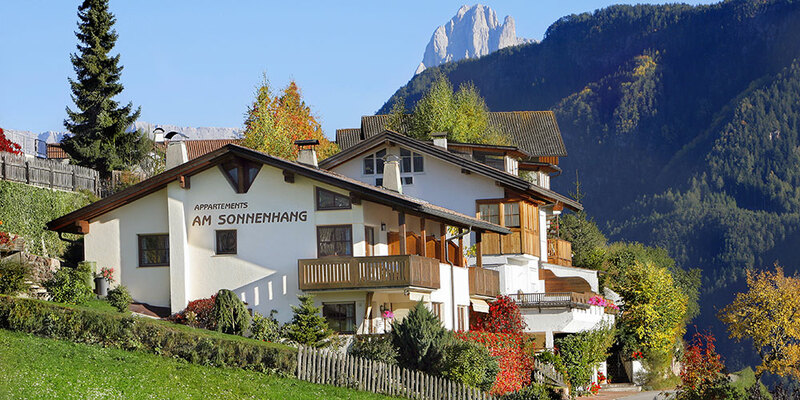 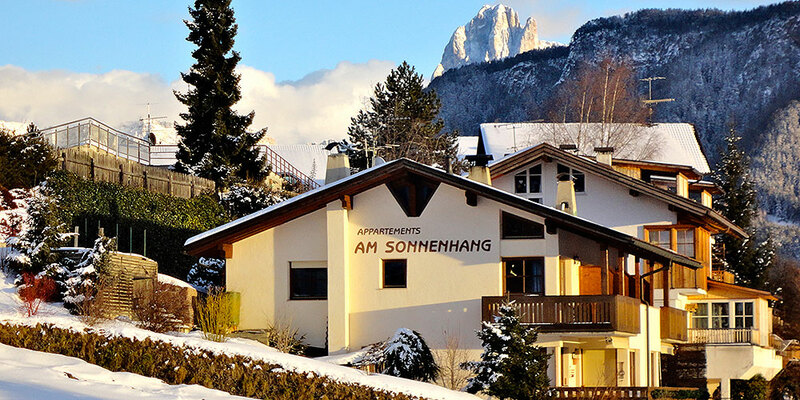 Each one of our lovingly furnished 2 room apartments has a loft in alpine wood and a south facing balcony with a view of the Dolomites on which you can have your meals while enjoying a spectacular panoramic view until sunset.